One of the South Hams’ most popular spring festivals is nearly upon us and we couldn’t be more excited! 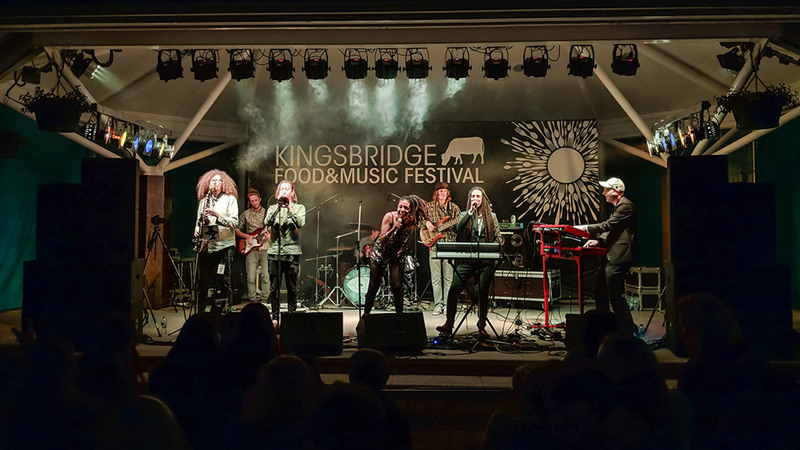 The Kingsbridge Food & Music Festival (May 31st – June 2nd) is in its final preparations ahead of its latest annual offering. This hotly anticipated three-day event blends together the very best of South Devon’s local food fayre with an assortment of talented bands and musical artists, all within the pretty, flower-filled Town Square. The bandstand stage is all set to play host to an exciting line-up culminating with some sensational headline acts. 2019 sees folk punk band Black Water County, the foot-stompin’ rhythms of Noble Jacks, and the one-man sonic explosion that is Funke & The Two Tone Baby. Once again, this jam-packed festival will be served up admission FREE! Amongst the food stalls, expect to find a sizzling smorgasbord of culinary delights; from exquisite locally grown flavours to scrumptious ethnic street food. If you’re feeling thirsty, there will be ciders, ales, fine wines, cocktails and mocktails, all served up in compostable pints and cups as part of the event’s sustainability pledge. 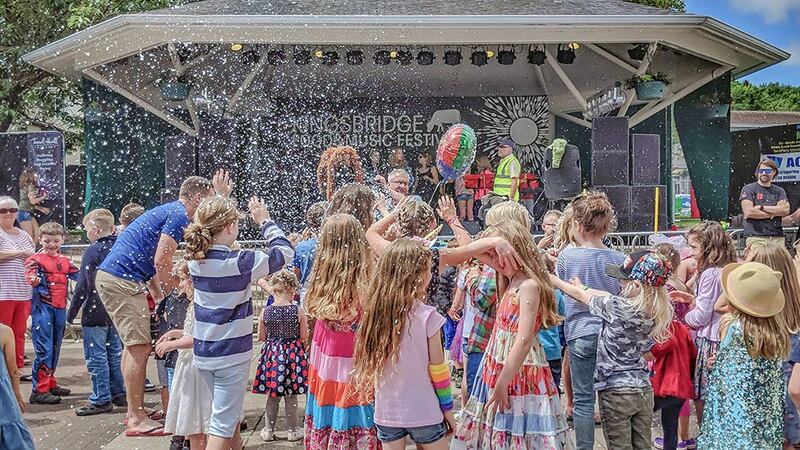 The festival’s family-friendly vibe once again embraces the ever-popular Kids Zone (on the adjacent grassy knoll at Quay House), where young festival goers can enjoy a range of hands-on activities such as face painting and mask and head-dress making. The historic market town of Kingsbridge is a thriving waterside community with a busy high street, popular markets, and a pretty promenade. With wonderful views of the tidal estuary, Kingsbridge is a great central base from which to explore the surrounding coastline, with the added convenience of local shops, pubs and restaurants. Cob Cottage, is a beautifully restored 400-year-old cottage tucked away down a leafy lane on the outskirts of Kingsbridge. As well as characterful rooms filled with period features, there’s a pretty, peaceful semi-woodland garden and a shepherd’s hut. With its wonderful views both up and down the Kingsbridge estuary from its private balcony, 11 Crabshell Quay, is one of our most desirable waterside apartments, and is an easy walk to the Town Square. Bralo is a tasteful, spacious home at the top of town. With room for eight guests, a wood burning stove and lovely garden, it’s the perfect place to retreat too if all the partying gets too much. The Granary is a tastefully modernized barn conversion placed at the head of the tranquil waters of Bowcombe Creek. Less than a mile from Kingsbridge, this gorgeous holiday cottage is surrounded by rolling Devon hills and ancient woodland. *Above properties available during Kingsbridge Food and Music Festival at time of writing.